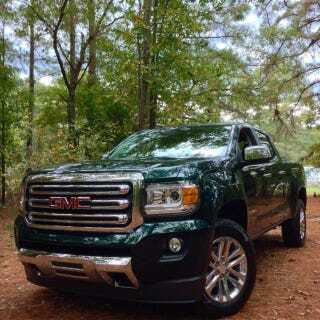 Recently, I went to Atlanta to test drive GM's truck and SUV lineup. I mean, I was practically already in Atlanta, so I didn't really need to go far, but I did have to drive for several minutes to get to the event. Available offroading opportunities were minimal (nonexistent), but I persevered and still came up with the definitive ranking of GM's trucks and SUVs. Without further ado, here are the top five trucks and truck-based SUVs in the GM lineup. To read my thoughts on each, head over to The Smoking Tire and read the rest!